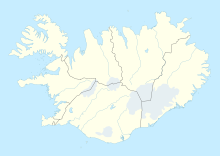 Þingeyri Airport (IATA: TEY, ICAO: BITE) is an airport serving Þingeyri (Thingeyri), Iceland. It is closed for air traffic. ^ Airport information for TEY at Great Circle Mapper. This page was last edited on 5 December 2016, at 02:34 (UTC).